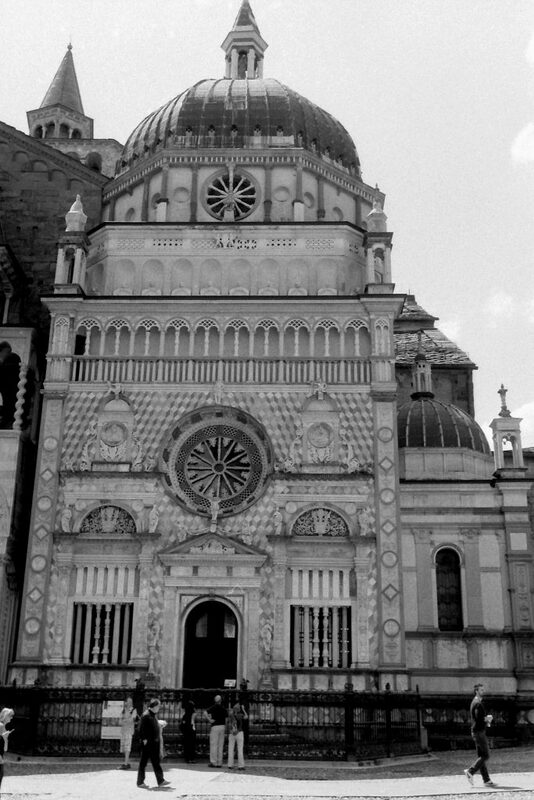 Today I scanned the last roll of my trip to Italy earlier this month. 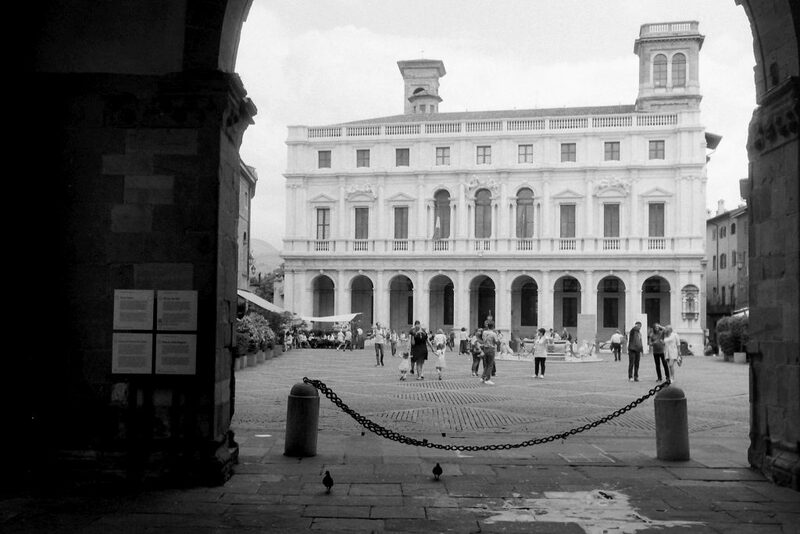 On the last day we took the plane back from Bergamo and therefore passed by this lovely old city by train. Before we left we took some time to photograph the station aswell as it is truly a beatifull building. 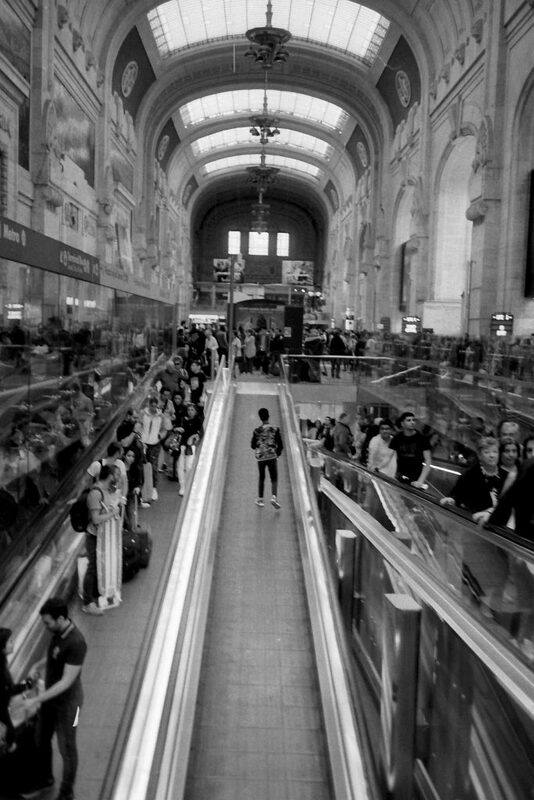 Inside I found the perfect symmetry of escalators running in the overcrowded station. I just had to take the shot and it turned out pretty nice. 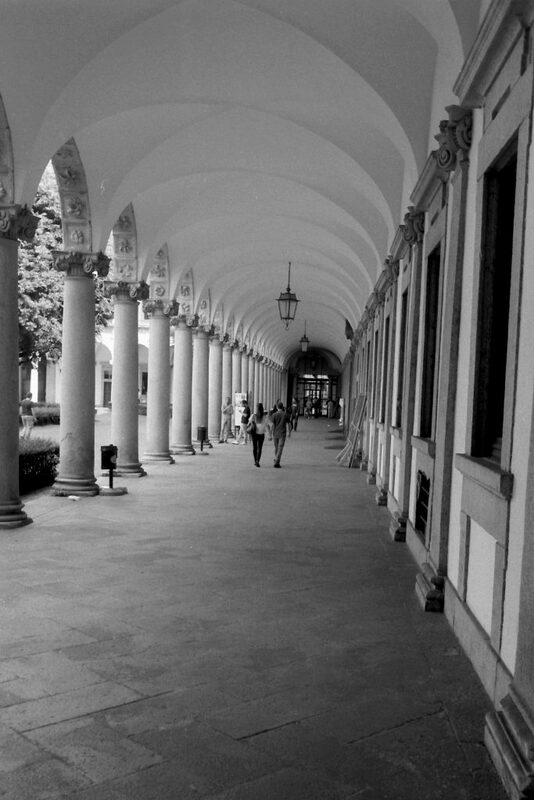 The other shots are of buidlings in Bergamo but we start with a shot of the university in Milan, which is an old hospital building.